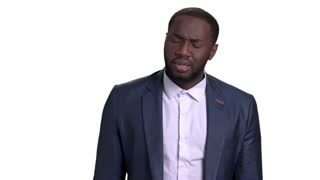 Search Results for "angry black man"
African anerican manager accusing and blaming you. 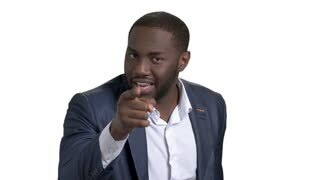 Angry black man in suit pointing his finger towards you and furiously speaking against white background. LENS FLARE: Young man packing bags into a black car gets angry with his wife. 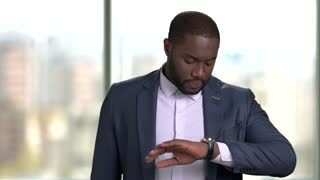 Black businessman showing different gestures. 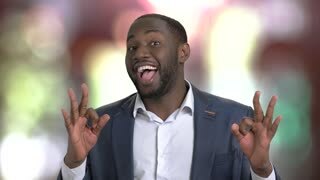 Happy dark-skinned man in formal wear showing ok sign. Angry businessman pointing with finger forward. Confused african-american entrepreneur. Portrait of very angry African American black man. Young afro guy is screaming and shaking his hands with negative emotions on green chroma key background.